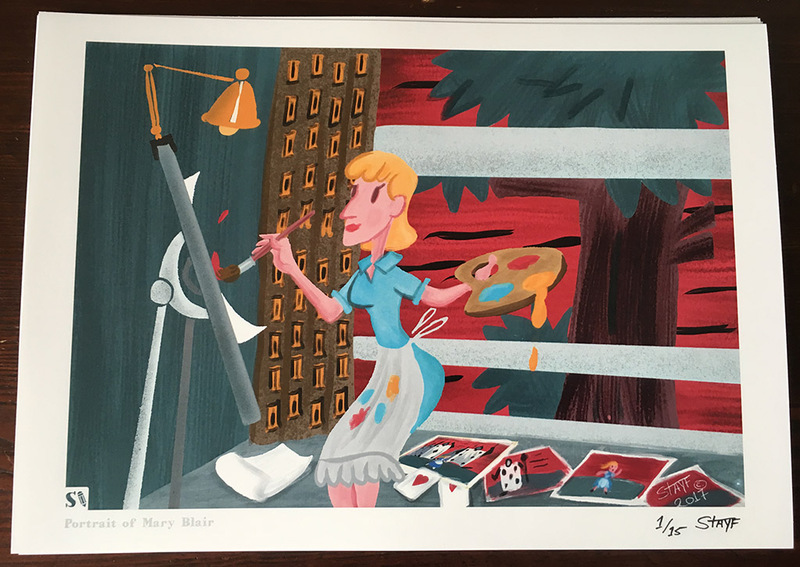 This is a portrait of renowned Disney artist Mary Blair. Mary Blair is most known for her designs for It’s a Small Small World. I have painted this image in the style of Mary Blair on the iPad Pro with the Apple Pencil in the drawing app ProCreate. These are digital prints on 160 Gramm paper in an small edition of 15 numbered and signed by Dutch artist Stefan de Groot. Press on the image and go to my Etsy Store to buy this print.